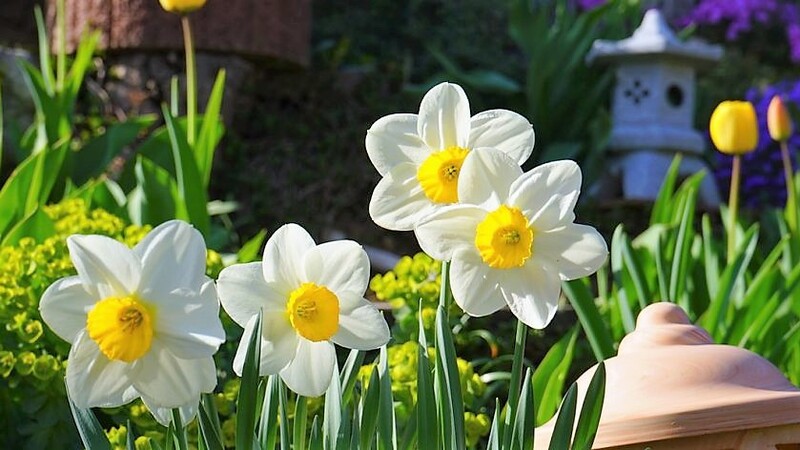 It's early spring and my garden is overflowing with daffodils. I love this time of year, when the weather is getting warmer and there's the promise of sunshine, renewal and growth. That sea of yellow and gold reminded me of a time, a couple of years ago, when we cut down a dead tree from the garden and I wanted to fill the space with some bulbs. Easy enough in theory, and, the next year, the daffodils came through with lots of greenery, but not a single flower. I was stumped, so I asked my garden-savvy friends who told me that I hadn't planted them deep enough. Daffodils have to be a certain depth in the soil, they said, or the bulbs stay small, produce foliage, but no blooms. So, I dug deeper, I replanted and, sure enough, the next year we had the gorgeous flowers we wanted, covering the corner where the tree had been. The metaphor here is obvious, I think. Whatever we do, if we stay at a superficial level, if we don't probe more deeply, perhaps challenge, ask some difficult questions, or reach for that extra 10% effort, we may fail to create the right conditions for growth. We can grow, but only so far, and we may never blossom into our true potential. Is there somewhere you're holding back? Somewhere that going deeper could bring a different level of reward? Leaves are all very well, but it's usually the flowers we appreciate the most.